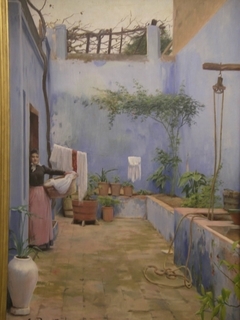 14 K Artworks have been viewed 14,026 times. 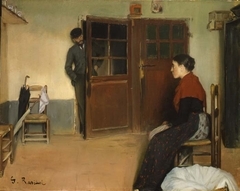 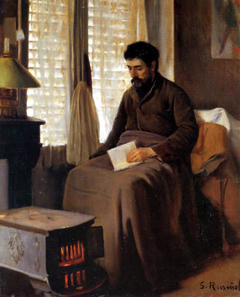 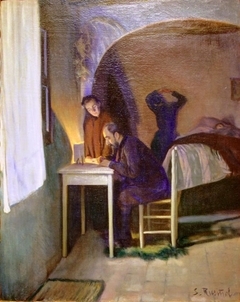 Santiago Rusiñol i Prats was a Spanish painter, poet, and playwright. 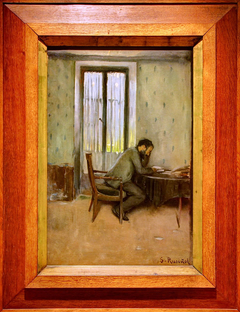 He was one of the leaders of the Catalan modernisme movement. 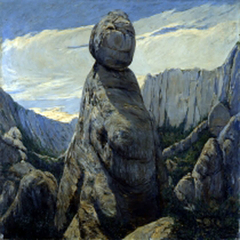 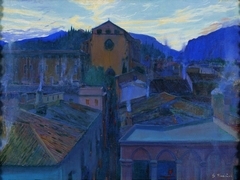 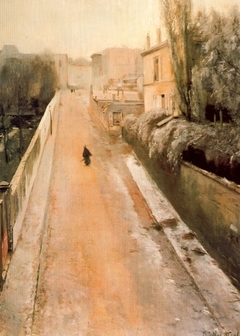 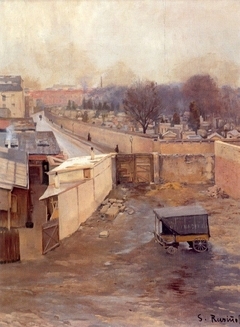 Much of his work in Paris belonged to the Symbolism painting style. 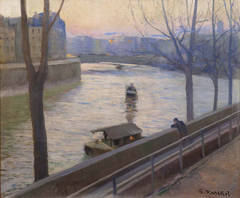 While there, he also attended the Gervex Academy, where he discovered his love for modernism. 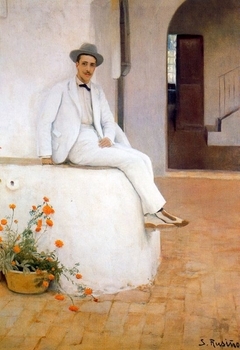 After returning to Spain, he settled in Sitges, founding a studio/museum named Cau Ferrat. 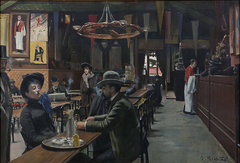 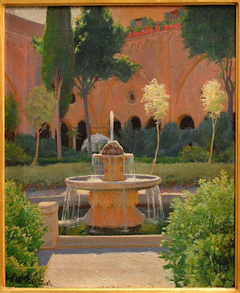 When back in Barcelona, he was a frequent client of the café Els Quatre Gats, noted for its association with modernisme and the young Pablo Picasso. 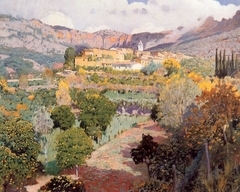 He went to Mallorca with the painter Joaquin Mir Trinxet, where they met the mystic Belgian painter William Degouve de Nuncques in 1899. 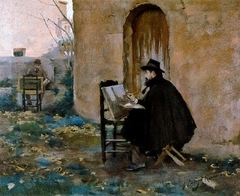 He was most known for his plays, and landscape and garden paintings. 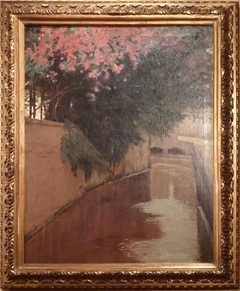 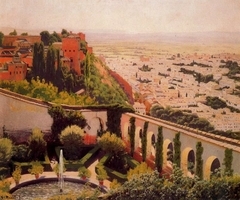 He died in Aranjuez in 1931 while painting its famous gardens.